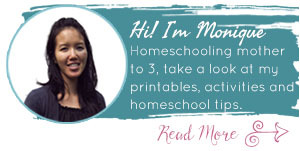 When you need a quiet afternoon activity for your little ones, I like to have felt crafts available for my daughter to play so I can concentrate on her older siblings. In keeping with the winter theme and my daughter’s favorite movie Frozen, I made a felt Olaf snowman. Unless you’ve been living under a rock, if you have kids then you must know who Olaf is. My daughter has entered that fun dress up princess stage that I’ve been looking forward to after two sons. Before the movie, she’d carry a purse around like mom but now she is a full-fledged princess with the tiara, wand and dress. As soon as I put this activity in front my daughter she knew it was Olaf, thank goodness. I would have been pretty disappointed if he was not recognizable. I had the different parts scattered around but my daughter knew it was Olaf because she was watching me create it and I had put it together to capture a photo. She tried her best to get all the pieces of the face right and then in the picture you can see her sitting back and admiring her hard work. 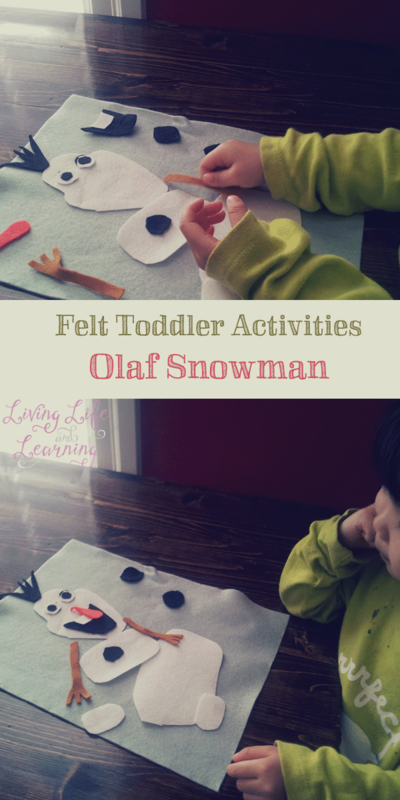 My son enjoyed playing with this felt set as well but he made Olaf go into all the different and weird shapes just like the movie, he thought it was hilarious. This is definitely one of my daughter’s favorite. If I were only more artsy I’d attempt Else or Anna but I’m not even going to try. I can definitely see adding some more Christmas theme felt pieces so stay tuned. Winter is definitely in the air.